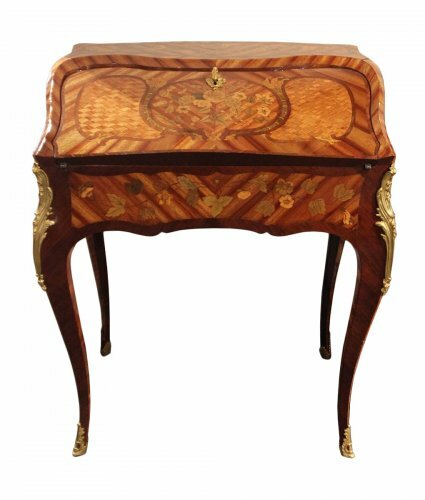 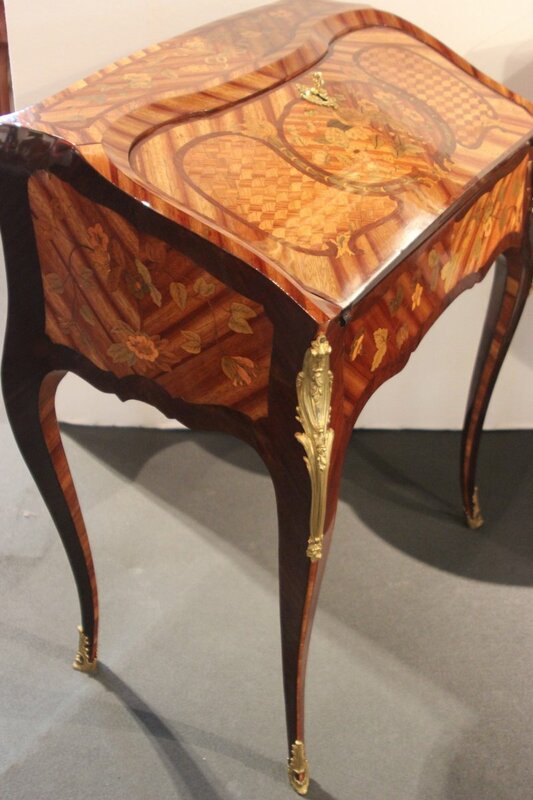 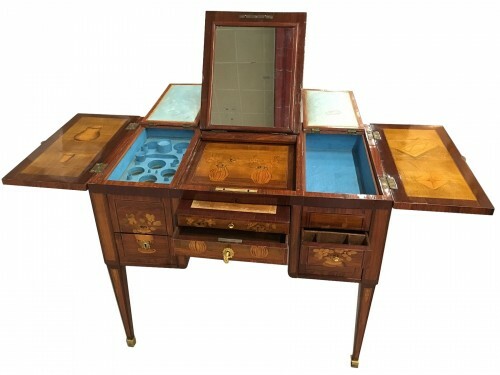 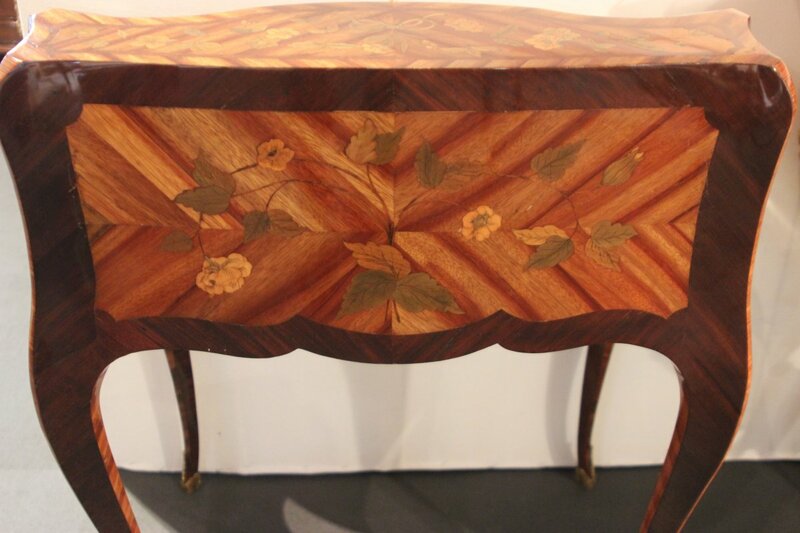 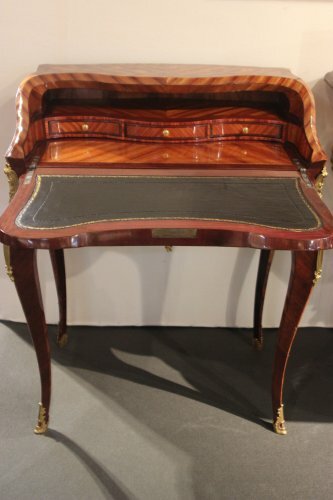 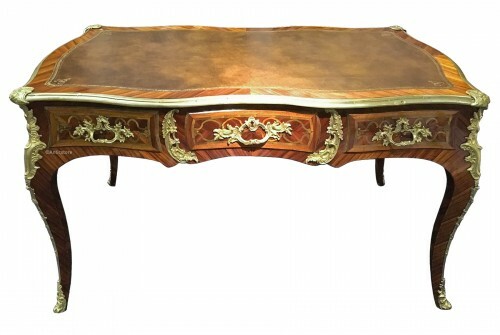 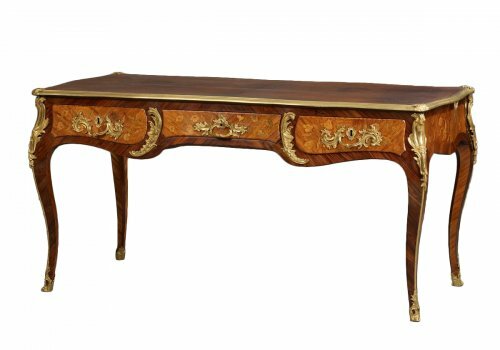 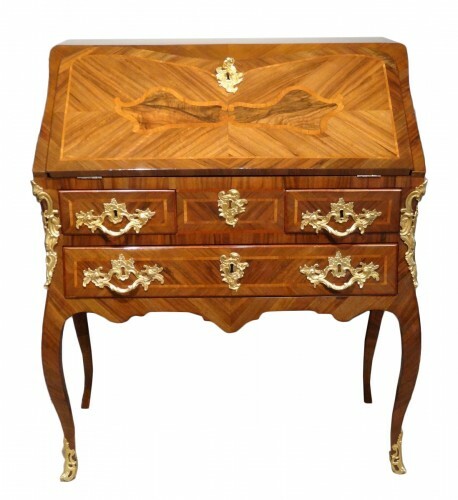 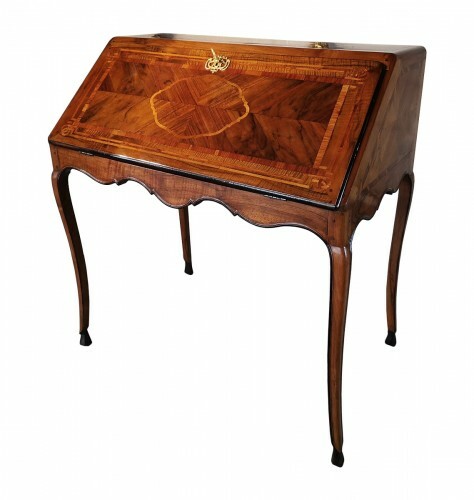 A small bureau de pente in native wood marquetry. 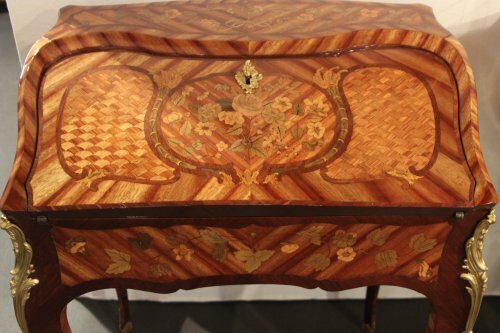 The flap is inlaid with flowers in the center and patterns in the form of scales in polylobed reserves. 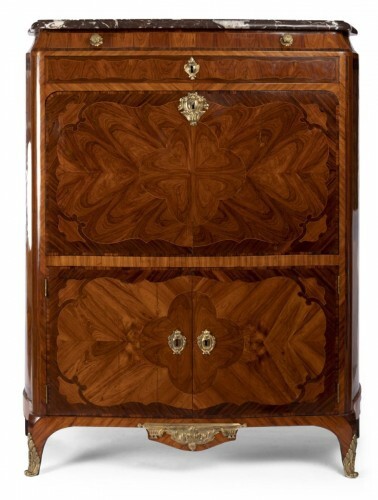 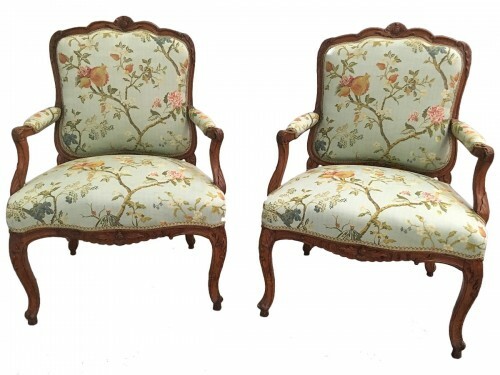 The sides and the back are inlaid with flowers. 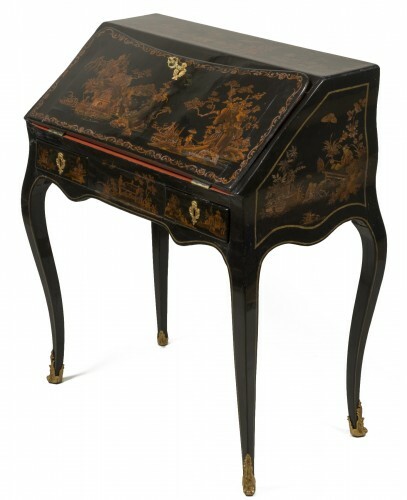 The interior with three drawers is inlaid with satin wood.